A story is boring if it doesn't elicit emotion; in other words, if we don't care about the characters and what happens to them. A number of things go into making a story interesting and I've talked a lot about them over the past while. Stories have themes, arcs, deeds of daring and (occasionally) cowardice. 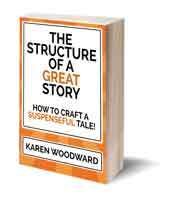 Good stories have strong protagonists and strong antagonists. Good stories can whisk us off to other places, other times, even other universes. When I say, "how to critique" I mean how I critique. There is no One Right Way so do whatever feels right to you, whatever you're comfortable with. I've spent a lot of time setting the foundation for explaining why I do things this way rather than another, but your mileage will vary. I only talk about a departure from standard grammar if I am explicitly requested to. Although there are exceptions. For instance if a writer uses "affect" as though it meant "effect" or vice versa, if they (and here I am self-consciously using 'they' rather than 'he' or 'she') used "advice" as though it meant "advise", and so on. Why? Because that sort of word misuse kicks up a lot of static. That said, if the writer qualified "unique" or used "decimated" as though it were synonymous with "obliterated" I would keep silent. Why? Because from the context I think it would be clear what the person meant and because the error is widespread. But that's me. I know it is painful for some folks to let any departure from standard grammar go unmentioned. When you give someone your story for critique be specific about the kind of feedback you'd like. If having someone comment on grammar drives you nuts, then, when you give someone your manuscript, tell them you're not interested in that level of feedback. If someone wants to point out all my silly mistakes, that's fine, but I never request it. My manuscript is going to a line editor and I trust her to catch everything. Also, asking for a critique with this level of detail is asking someone to do a lot of work. By the way, on the subject of grammar, an excellent book is: Eats, Shoots & Leaves: The Zero Tolerance Approach to Punctuation by Lynne Truss. The book is hilarious! And highly informative. As with grammar, I only talk about awkward word use if the writer specifically requests it. And, honestly (and this is true for grammar as well), I might just decline to give that sort of feedback. I'm not a line editor, I don't have that skill set. Knowing your limitations is part of giving a good critique. "I love you," he said huskily. Gah! Where does one start? I'd probably say something along the lines of 'show don't tell' and 'as a rule of thumb, I try to avoid using an adverb directly after "said"'. 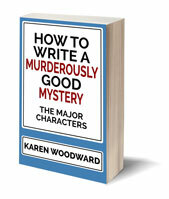 There are wonderful people called developmental/story editors--they probably have other names as well ("angel", "saint")--who will look at your manuscript and give you a detailed analysis of your story's elements along with tips on how to improve them. This is a LOT of work and they charge accordingly. Critiquers are busy people and I don't request this level of feedback. If someone wants to talk to me about my protagonist's arc and says they think it's weak and suggests how it could be strengthened, I'm all ears. But I would never expect that level, that depth, of analysis. 1. Was the meaning clear? I will flag any constructions that seemed awkward to me, that I had to re-read before I realized what was being said. I will indicate where my attention waned, the places where I wanted to put down the manuscript and do the laundry. 3. Did you believe it? I will indicate anything that seemed unbelievable or implausible. Anything that didn't work for me. For instance, let's say I'm reading about a fight between a 300 pound, six foot eight inch tall linebacker and a five foot four inch tall chess champion. And the chess champion wins. I'm not saying the fight couldn't work. It could. But you see the challenge. It's almost like a contest between you, the writer, and the scene. I'll tell you if I think the scene won. If I read a passage and think, "Wow! That was cool," I'll tell you. I like it when critiquers give me this kind of feedback because I cut a lot of passages as I revise a manuscript. If someone thought a passage was especially good I'll flag it and save it if possible. Find at least one thing nice to say about the story. Try not to say more negative things than positive. If you take anything away from this article please let it be this: Find out what kind of feedback the writer wants, preferably before you read their manuscript. If someone hands you their story and they don't specify what kind of feedback they want then ask. If I ask and the writer says something vague like, "I'm interested in what you think," or "It doesn't matter," then I give them the four point analysis I just covered. Oh. One more thing. Someone asked me the other day what they should do. They were given a manuscript to critique by a new writer and it was ... well, it probably looked like the first story any of us ever wrote! Which is to say, something that is a long (LONG!) way from being publishable and which will, mercifully, end up living (or should I say lurking) under the bed. "What should I say to them?" this reluctant critiquer asked. Given my two rules of thumb (say at least one nice thing and try not to say more negative things than positive ones) situations like this can be challenging. Then I realized that there's always one nice thing you can say: Good for you, you wrote something! You had an idea, you turned that idea into a story and you finished the story. That is awesome! The more we write the better we get. In the beginning my biggest fear was that someone would read my story and tell me: Stop writing! Just stop. Put down the pen and back away sloooowly. You're horrible and you're not going to get better. Thankfully that never happened. Instead, people encouraged me. I try and do the same. If you'd like to share the criteria you use to do a critique, please do! There is no right and wrong in this area and wisdom is often found in a multitude of opinions. Photo credit: "Ancient Dragon" by ToastyKen under Creative Commons Attribution 2.0. Hi Karen. I hope you enjoy Seattle and the not-shopping trip. I come by most days and read your posts. They are always very informative. There are so many styles of critique, but I agree it is so important to understand what sort of critique the writer wants. Thank you for your always informative posts. Many important points in here, Karen. So many writers, myself included, start off by focusing on the words in giving critiques, often to the point where we change words arbitrarily. As we progress as writers and critiques, we learn that voice is sacred and that everyone will have their own opinion. But until we learn that lesson, sadly we can do a lot more harm than good. I love reading comments that say what I feel better than I could. Thank you.